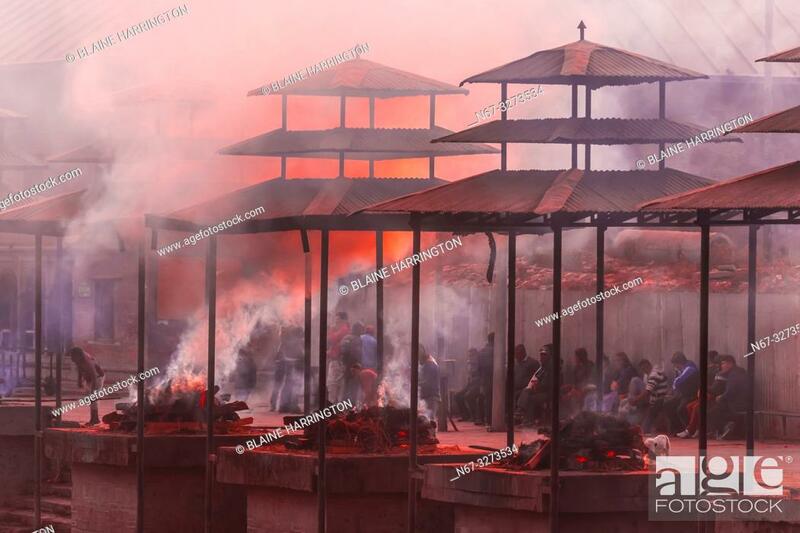 Foto de stock - Funeral pyres are tended for many hours until cremated corpses are turned to ash, Pashupatinath Temple, a Hindu temple along the Bagmati River in Kathmandu, Nepal ... . The Bagmati is equally as sacred to Nepalese as the Ganges is to Indians. Hindus come to be cremated here.